On the last Sunday in the first month of 2018, we welcomed Rev Canon Dr Vicentia Kgabe as celebrant and preacher, seen here after the service with Rev Jo Tyers. And presented her with a “memorable” tee shirt. 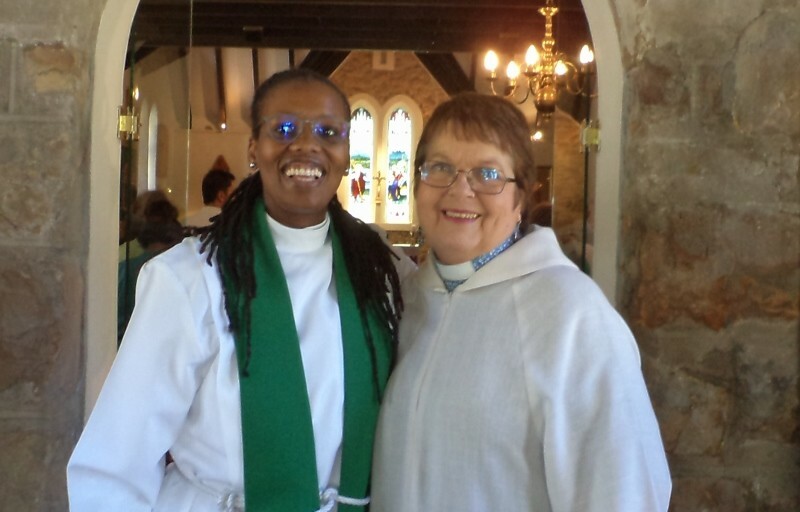 Vicentia is the rector of the College of the Transfiguration in Grahamstown, who came to Cape Town also to address the women clergy of the Dioceses of Cape Town, False Bay and Saldahna Bay. Born in Soweto, she attended schools in Soweto and then started her theological training at the College of the Transfiguration. She undertook further theological studies at the University of Pretoria where she obtained a PhD in Practical Theology in 2011. She has also attended Pretoria University’s Gordon Institute of Business Science leadership programme. Kgabe was made deacon in 2002 and was ordained a priest in 2003, then serving parishes in and around Johannesburg. In 2013, she was appointed rector of the Parish of Weltevreden St Michael and All Angels, where she got to know our organist Colleen Hart. 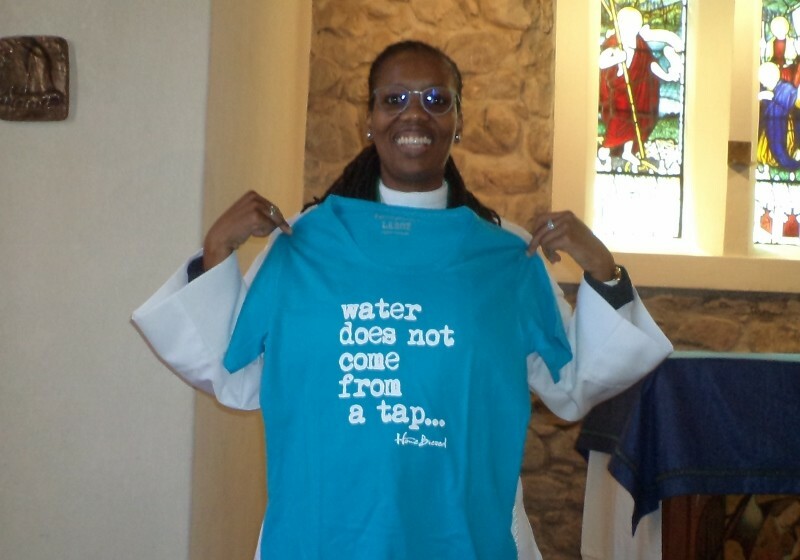 She was an archdeacon in the Diocese of Johannesburg, where she had responsibility for the promotion and discernment of vocations to the ordained ministry of the church. In 2014 she was appointed rector of the College of the Transfiguration.